When I was meal planning this past week (see below! ), I was dead-set against meals that required using my oven, or even required standing over the open flame on the stove. This past weekend was pleasant enough here in STL, but soon enough, it’ll be in triple-digit temperatures and I will be informing Mr. P that dinner will be served just as soon as we walk to the frozen yogurt shop down the street. Coconut oil! You need to score this stuff at Trader Joe’s. I noticed it at Schnuck’s the other day and it was fully twice the price. Even at Trader Joe’s, a jar isn’t cheap (I think this one was between $6-7?) but it’s a fun treat. 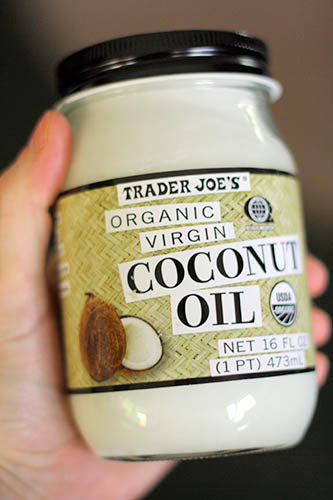 Our recipe today comes from this source, and I’ll admit, it’s this recipe alone that inspired me to finally buy the coconut oil. 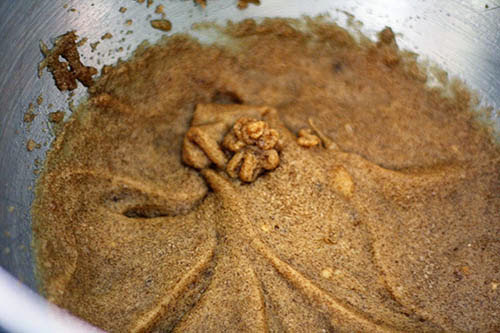 I’ve since found other uses for it (especially for stir-frying Thai-flavored dishes), but really, these cookies are tops. Whew. 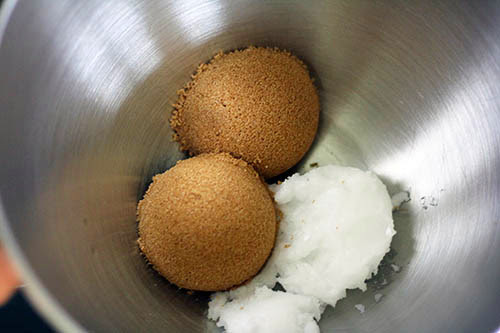 It sounds like a lot of ingredients, but really, they come together as quickly as you can add them! And finally, I added six ounces of milk chocolate chips. I thought about adding shredded coconut as well, but I didn’t know just how coconutty these would be. Now I know that some shredded coconut would be delicious in these! But even if you don’t have shredded coconut, the coconut flavor from the oil is prominent enough to be tasty by itself. 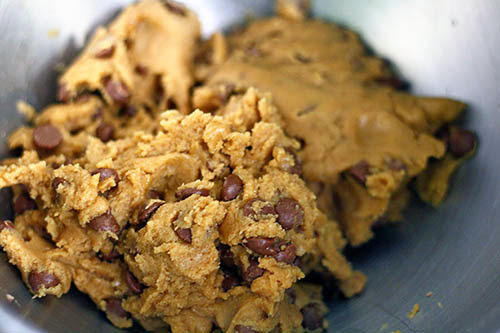 Once the dough came together, I used my cookie scoop to drop them on a well-greased cookie sheet. DON’T squish them down; they’ll spread the perfect amount if you leave them in balls like that. Please ignore my scummy baking sheet. Clearly, I always use it well-greased. Then I popped them in a preheated 375-degree oven for nine minutes. And that’s it! 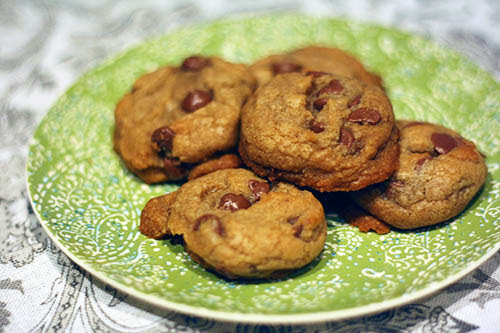 Super soft and chewy, delicious coconut chocolate chip cookies! 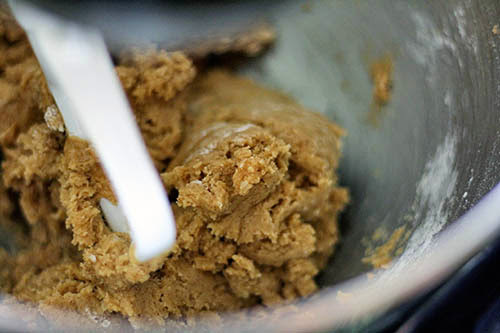 You should know, I came to this recipe as a pretty big Tollhouse fan (you know, the standard cookie recipe on the back of any chocolate chips bag, Tollhouse or any other brand). But you guys, I think these might even be better if you like coconut flavor. The texture is fantastic, and the authentic coconut flavor (as opposed to the fake flavoring you and I are probably used to) is delightful. 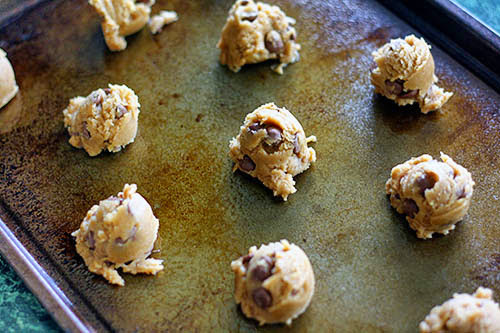 The coconut makes them the perfect summery chocolate chip cookie, even if you do have to turn on the oven to bake them. I’ll be making these again! Friday: Mr. P doesn’t know it yet, but he’s grilling burgers for us. If the meal turns out like I want it to, I’ll be sharing it here! That’s it and that’s all! Hope you all have a great week! I am in love with coconut oil!! I use it in everything (and my dirty little secret is...I also wash my face with it! ).